Environmental knowledge is power in the viniculture sector. EOS cloud-based weather systems provide forecast, realtime monitoring, and historical data for proactive planning and optimum crop yields. 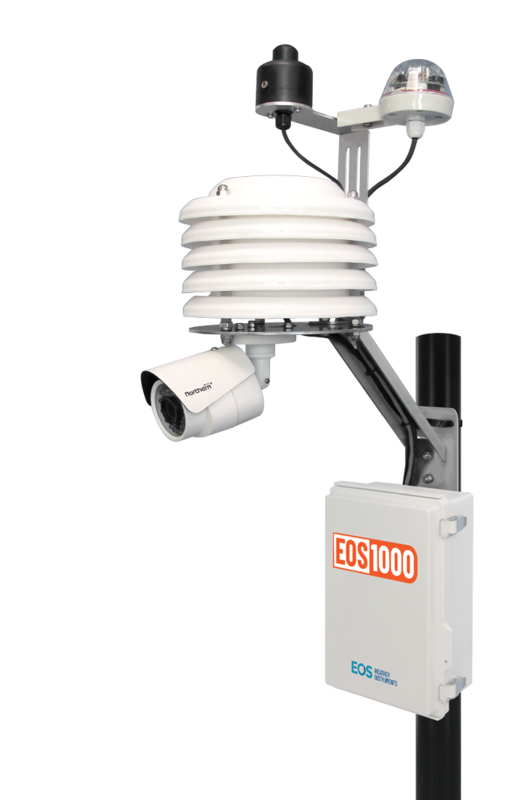 The EOS-1000 is an advanced all-in-one weather station, which collects and remotely displays environmental data from multiple high precision sensors. With optional devices, the EOS-1000 can be applied to many sectors, including: agriculture, marine, industrial, or any application where accurate environmental data is required. 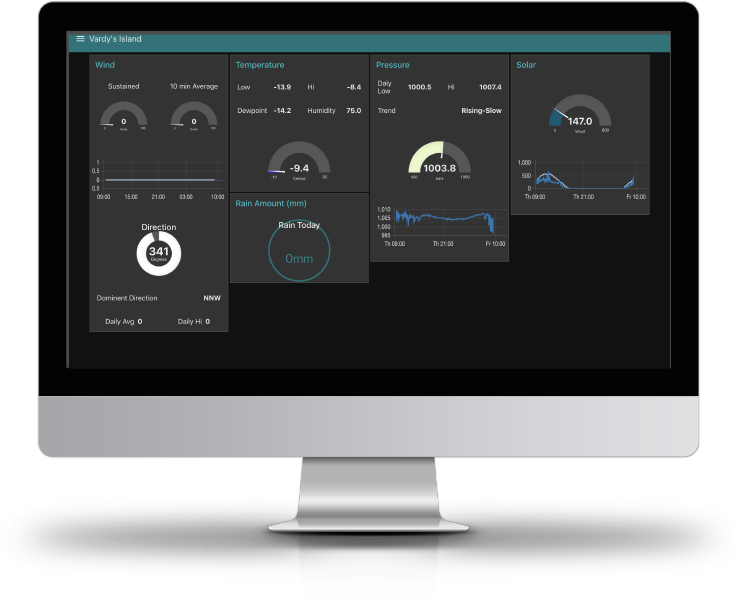 In an agricultural application, temperature, humidity, and dewpoint data from EOS-1000 can be used for predictive pest control along with wind data to enable strategic spraying operations. Localized temperature, wind, and solar data can be used to accurately predict frost conditions. An on-board Linux-based processor stores data which can be viewed online or uploaded to a remote customer database. Optionally, we offer data storage and viewing via our secure EOS Cloud. All external components are made from the highest quality UV stabilized ABS, high grade aluminum, and stainless steel. The optional LTE cellular interface allows users to collect data from remote locations such as agricultural sites, highways, energy sites (re-usable) or any other site lacking an internet connection. Built-in sensors monitor the health of EOS-1000 to display battery condition and internal temperature. The unit has a tamper alarm to monitor when the housing has been accessed. An outdoor webcam can be added for visual reference of weather conditions and other images from the site. The ESOIL-100 is the all new EOS Weather Instrument’s advanced wireless soil moisture sensor for autonomous service. Awareness of soil moisture content facilitates optimum irrigation. 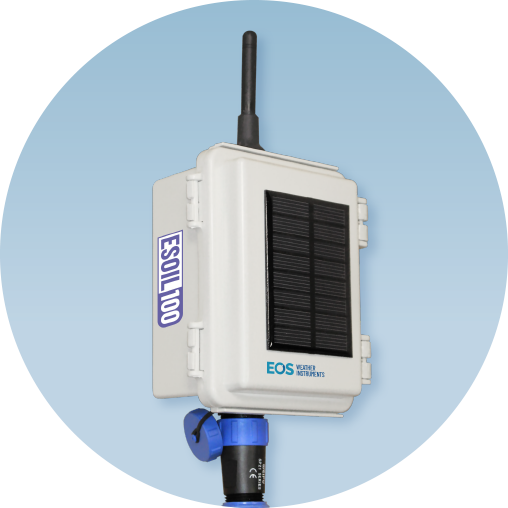 With our EOS-1000 Weather station, the ESOIL-100 server software will display all data remotely on your digital device. Multiple ESOIL sensors can be installed in one agricultural operation, allowing collection of data from separate irrigation zones. Each sensor has three soil moisture probes that can be installed at three separate levels. The additional temperature probe will provide realtime soil temperature. ESOIL-100 is solar and battery powered, data will be send to the EOS base station at preset selected intervals. ESOIL-100’s extremely low battery consumption will allow weeks of autonomous operation without sunlight. 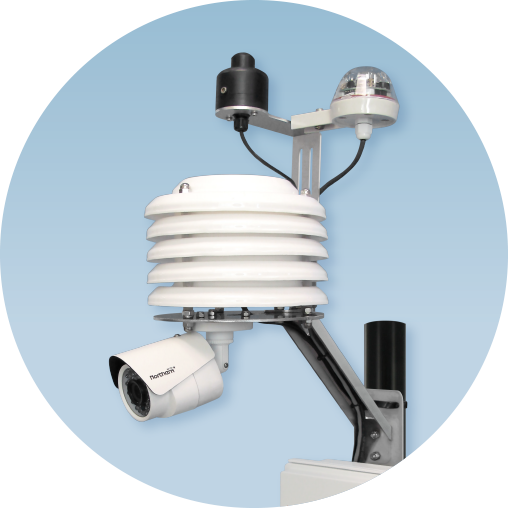 Monitor microclimate weather and soil conditions remotely from wherever you are.